The Southeast Buttress of Cathedral Peak in Tuolumne Meadows (Yosemite) is a climb that has been on my list for a couple of years. 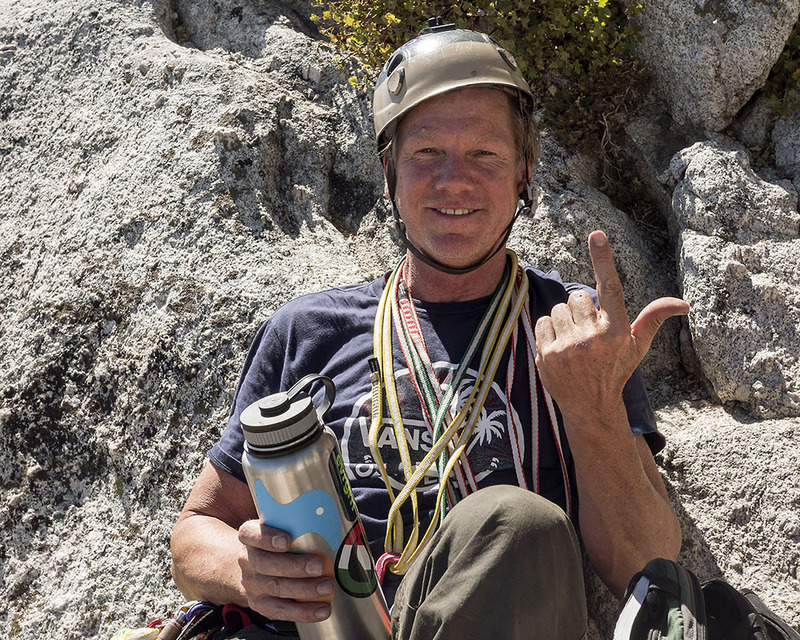 At 5.6, it isn’t a particularly difficult climb, but it is further evidence that grades mean a lot more in the world of multi-pitch trad climbing. Route finding is rather straight forward as one can climb all over the face with success, but the climbing begins above 10,000 feet placing this in the realm of alpine climbing (although just barely). 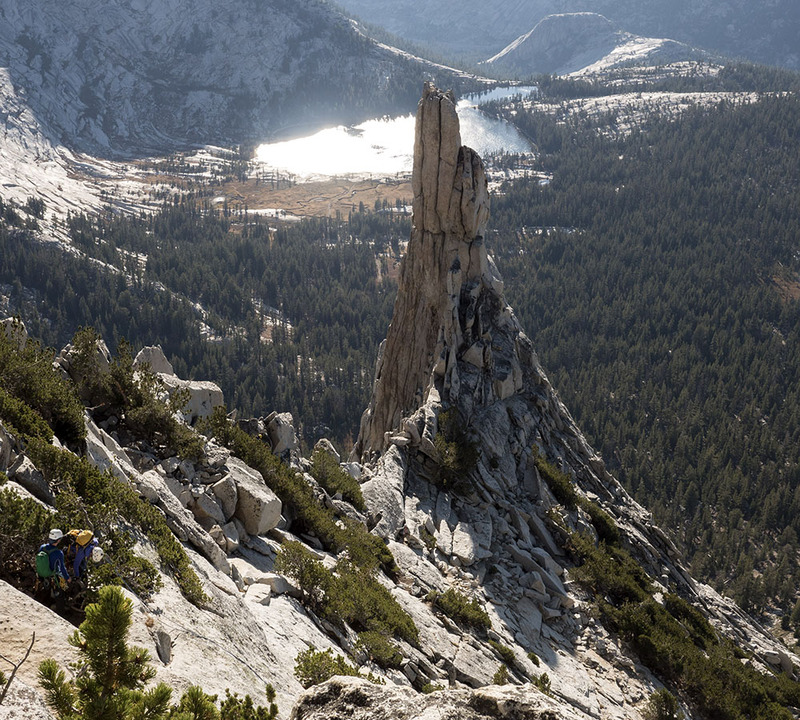 The window to climb Cathedral Peak was shrinking as Tioga Pass is likely to close within a few weeks when the snowstorms begin (unless delayed by further hot temperatures). Regardless, campgrounds in the area are beginning to close and days are shortening. 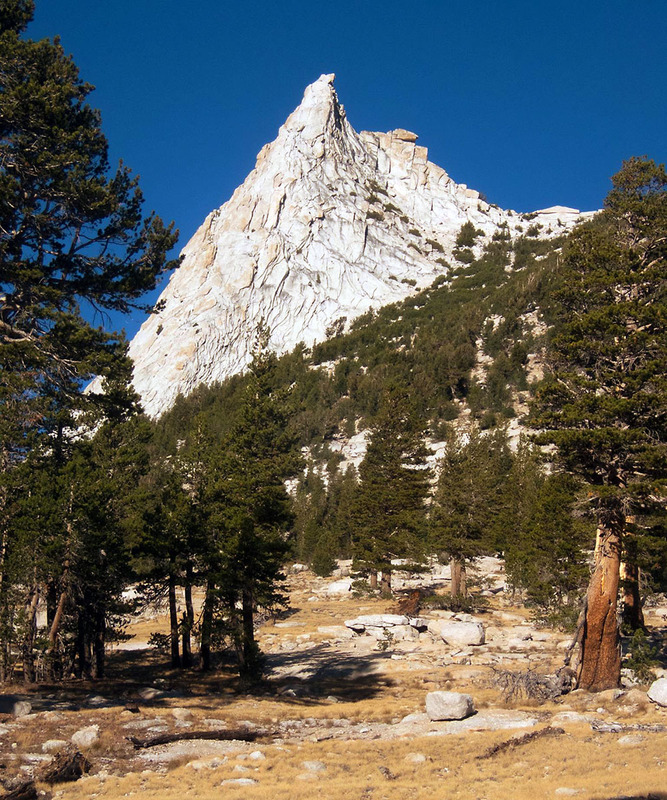 After returning from my road-trip, I began trying to find a good weekend to drive up to Tuolumne and climb this route. 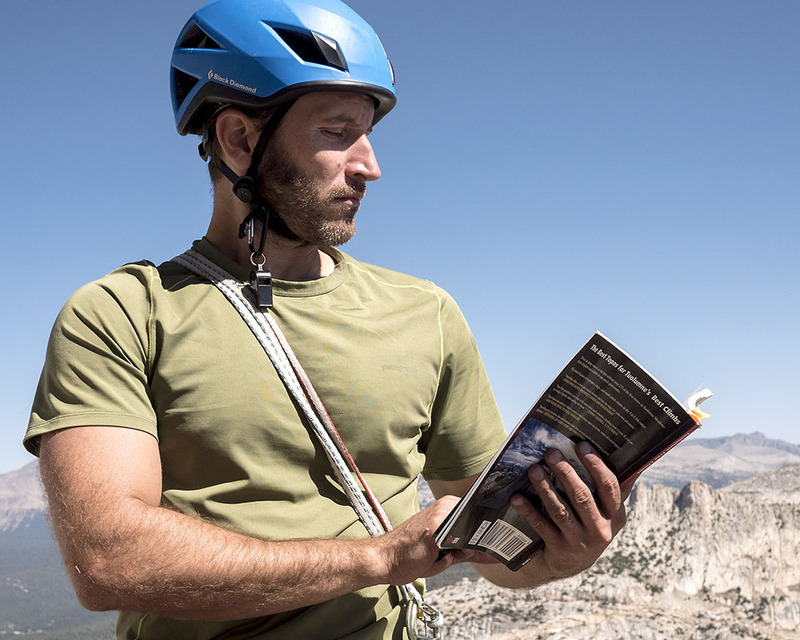 Finding available climbing partners was not fruitfull and I had almost given up when a serendipitous Facebook post from my friend John Gray opened up an opportunity. We climbed into my car Saturday morning and made the drive through the Mojave and Sierra to Tuolumne. Electricity was out for every town between Lone Pine and Bishop pushing us near empty on my gas tank, but we made it without incident. 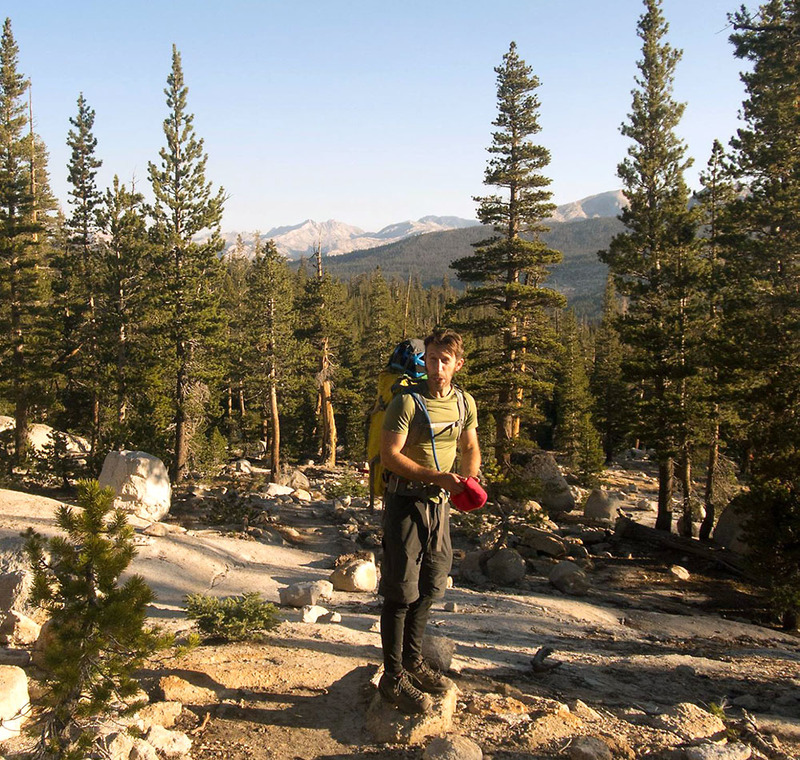 We grabbed a spot in Tuolumne Meadows Campground, hung our hammocks, and enjoyed a camp fire ranger program. Up before the Sun and off to the trailhead. We began the three mile hike in and my body hadn’t entirely acclimatized to the altitude. I felt weary and had no appetite. Despite that, we arrived at the base of the rock in a reasonable amount of time and began our climb before the brunt of the crowds arrived. 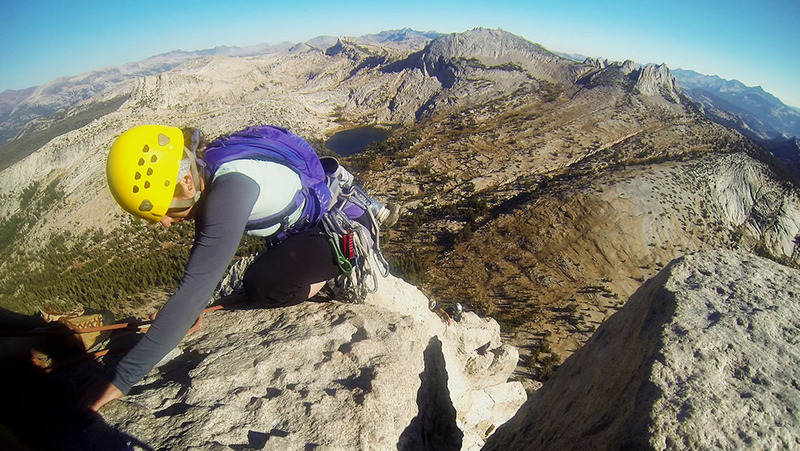 Cathedral Peak is notoriously crowded and that Sunday was no different. Be prepared to spend half of your time waiting around. Consider it an opportunity to make new friends, get to know the various soloists you’ll likely meet, soak in the view, snap photos, and entertain yourself with joyous songs (such as Rudolph’s “Jingle Jingle Jingle.”) Otherwise, you may get frustrated. 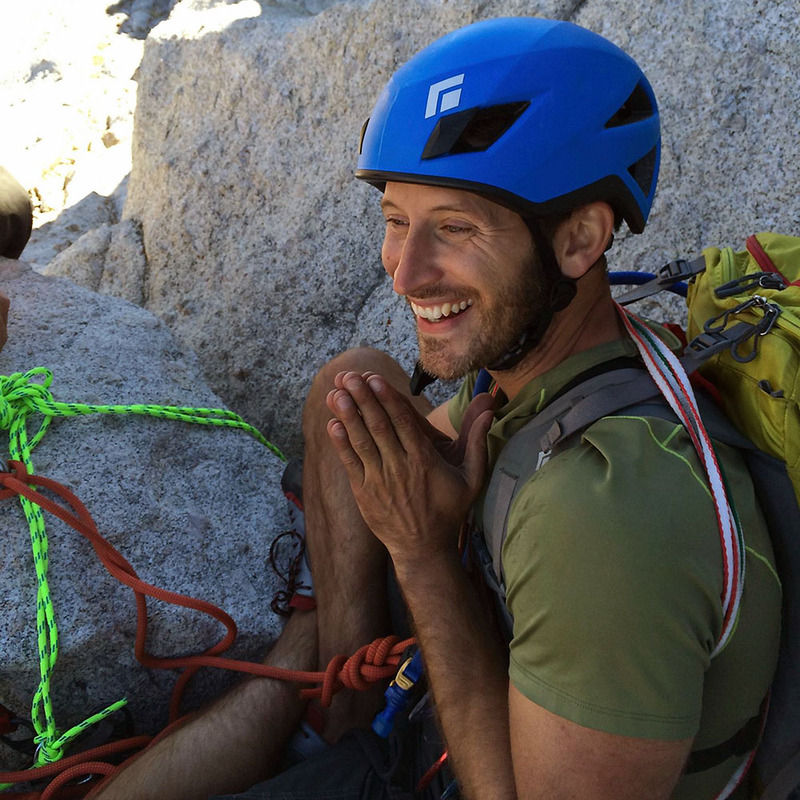 Climbing at 10,000 feet is more difficult and I often found myself out of breath on a pitch. We were probably three pitches up by the time I felt normal again. The granite was great and the climbing styles needed varied. Protection was ample. John led pitches 1 and 5. I took 2 through 4 including the fun chimney with the awkward entrance at the start of pitch 4. Because of weird logistics and excessive crowding, it became sensible for me to also lead the last 30 feet or so of the final pitch to the modest summit block where parties going up and down are funneled into a small area. I imagine it is the small scale Cathedral Peak equivalent of Everest’s Hillary Step. 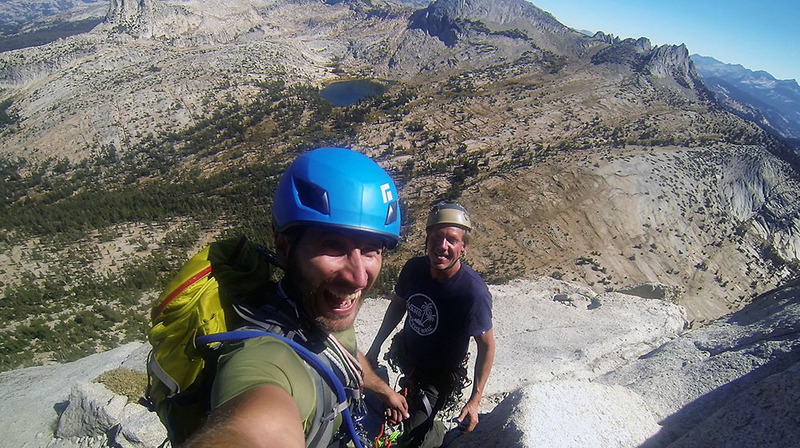 Our hope was to continue down the ridge after summiting to ascend Eichorn’s Pinnacle. Unfortunately, it was too late in the day to do so without descending in the dark. 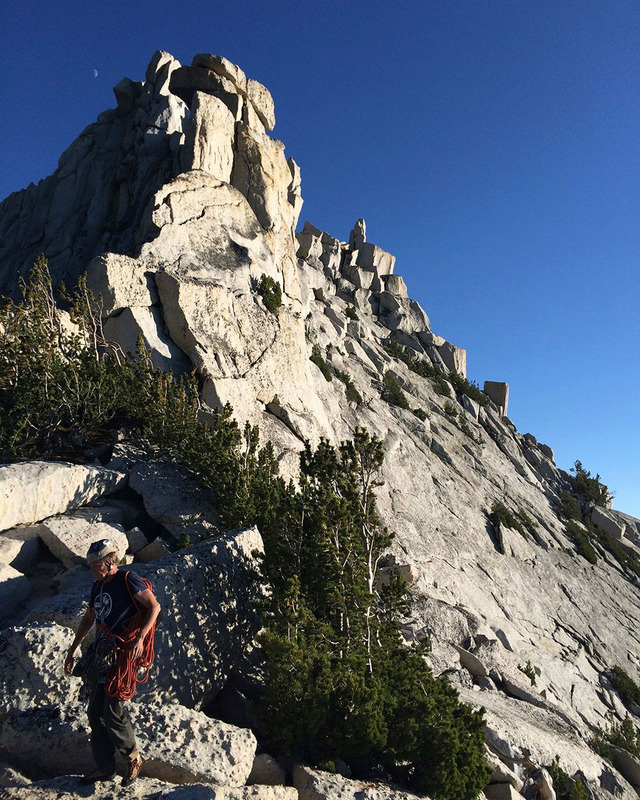 Walking off Cathedral Peak is a bit tricky and not something we wanted to do under lamplight. As we headed down trail and the Sun began to sink, I had my first bites of food of the day.